Through Official website. Latest Indian Air Force Careers, Placement, Openings, Off Campus Vacancies, Interview dates are updated regularly. Eligible Candidates can follow Below Recruitment details. To get more Freshers Government Opening Visit www.freshers-job.com. Indian Air Force Recruiting 2017 2018 as NCC Special Entry & Meteorology Courses. So Job seekers can apply this Central Government Job online. Aspirants from 2017,2016 Batch who have completed B.E/B.Tech, Bachelor, Graduate, Engineering Degree from any recognized Institute are Eligible this IAF Recruitment 2017 2018. Indian Air Force Opening 2017 for NCC Special Entry & Meteorology Courses position.More details about Indian Air Force Recruitment 2017 is given bellow. Flying - (a) NCC Air Wing Senior Division ‘C’ certificate acquired on or after 06 Aug 15 is mandatory. (b) Minimum of 60% marks each in Maths & Physics at 10+2 level and Graduate with minimum three year degree course in any discipline from a recognized University who have attained minimum 60% marks or equivalent. or minimum of 60% marks each in Maths & Physics at 10+2 level and BE/B Tech degree (Four years course) with a minimum of 60% marks or equivalent or cleared section A & B examination of Associate Membership of Institute Engineers (India) or Aeronautical Society of India from a recognised University with minimum 60% marks or equivalent are also eligible. Ground Duty (Non-technical) - Post Graduate Degree in any Science stream / Mathematics / Statistics / Geography / Computer Applications / Environmental Science / Applied Physics / Oceanography / Meteorology / Agricultural Meteorology / Ecology & Environment / Geo-physics / Environmental Biology with minimum of 50% marks in aggregate of all papers put together (Provided Maths and Physics were studied at Graduation Level with a minimum of 55% marks in both). As per the Indian Air Force recruitment notification 2017-18, candidates should have minimum education qualification of B.E/B.Tech, Graduate Degree or equivalent from a recognized Institute are Eligible to apply Indian Air Force Recruitment 2017. Candidate should complete his / her B.E/B.Tech, Graduate Degree in relevant subjects from a recognized University / Institute. Minimum 20 Years and Maximum 24 Years as on 01.01.2018. Accordingly the application must have been born not earlier than 01.01.1996 and not later than 02.01.1992, age relaxation details. Age relaxation is applicable as per Government of India rules applicable for different categories (SC/ST/OBC/PwD) visit Indian Air Force official Notification 2017 for more reference. 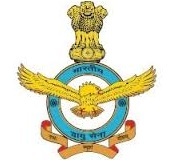 Check fee details in official notification of Indian Air Force for NCC Special Entry & Meteorology Courses academic qualification, application fee, selection procedure, exam pattern are present in official Notice. Selected and Eligible Candidates for this Indian Air Force Notification posts will get a amount of Rs 35400-177500/- month to month pay scale as per Government norms with good amount of grand pay.